Promotional poster for Annex Theatre's production of Last Stop on Lilac. 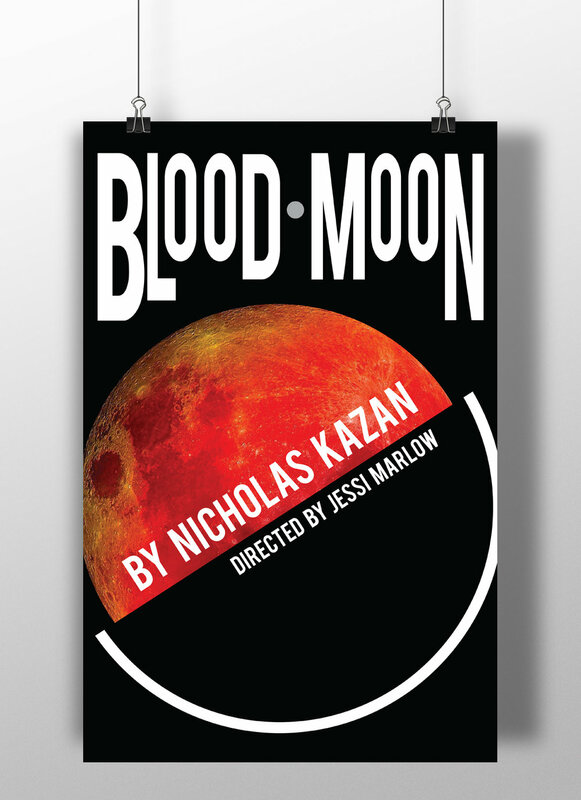 Promotional poster for the production, Blood Moon in Seattle, WA. 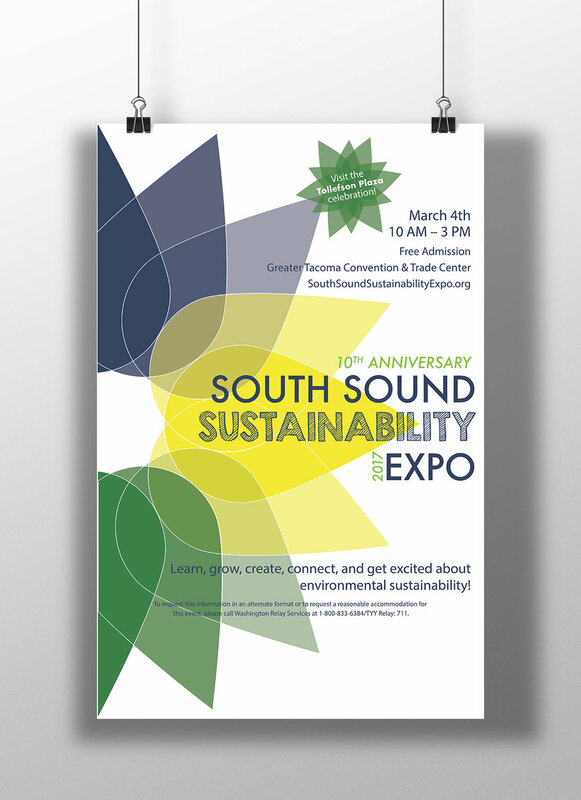 Promotional poster / graphics created for the annual South Sound Sustainability Expo in Tacoma, WA. 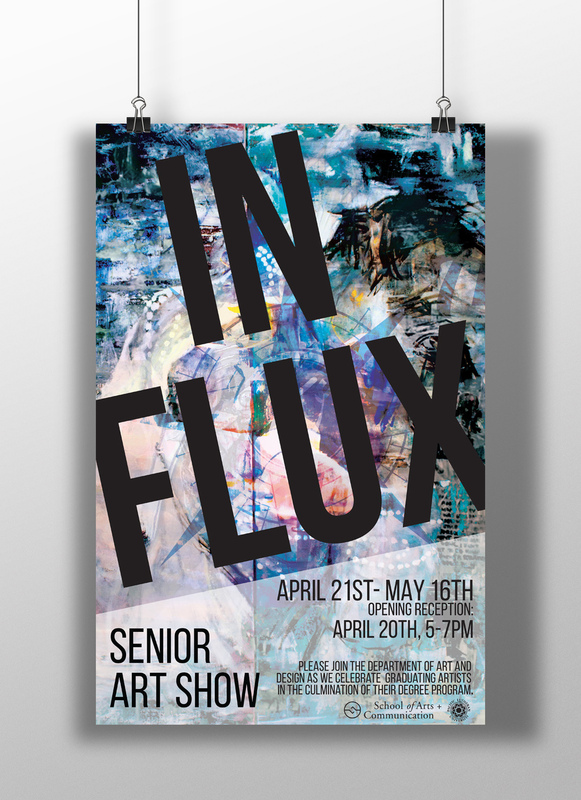 Promotional collaborative poster created for Pacific Lutheran University's In Flux, Senior Art Show. Promotional poster for Pacific Lutheran University's production of The House of Blue Leaves. Promotional poster for Pacific Lutheran University's Dean Spade Lecture. Linoleum cut and letterpress Earth Day posters. Printed on the Elliot Press at Pacific Lutheran University. 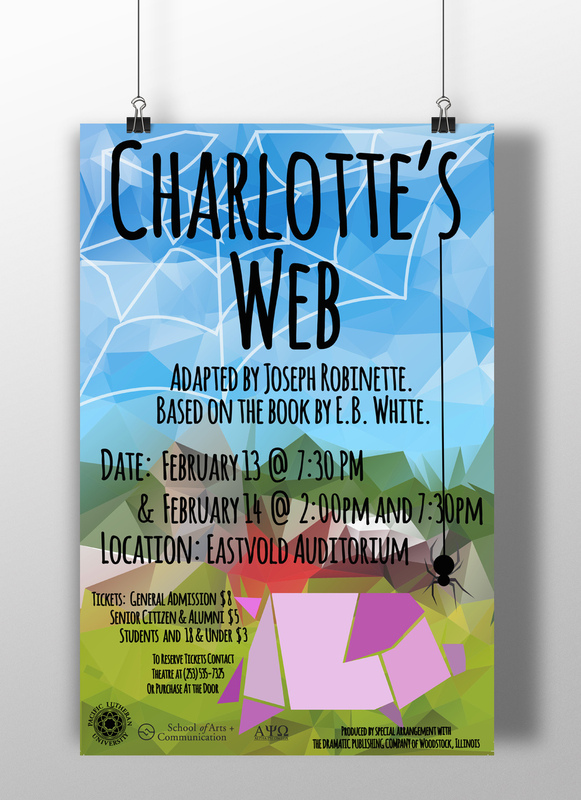 Promotional poster for Pacific Lutheran University's production of Charlotte's Web.